Do you have a new baby on the way? If so, a quality travel system is probably at the top of your wish list. 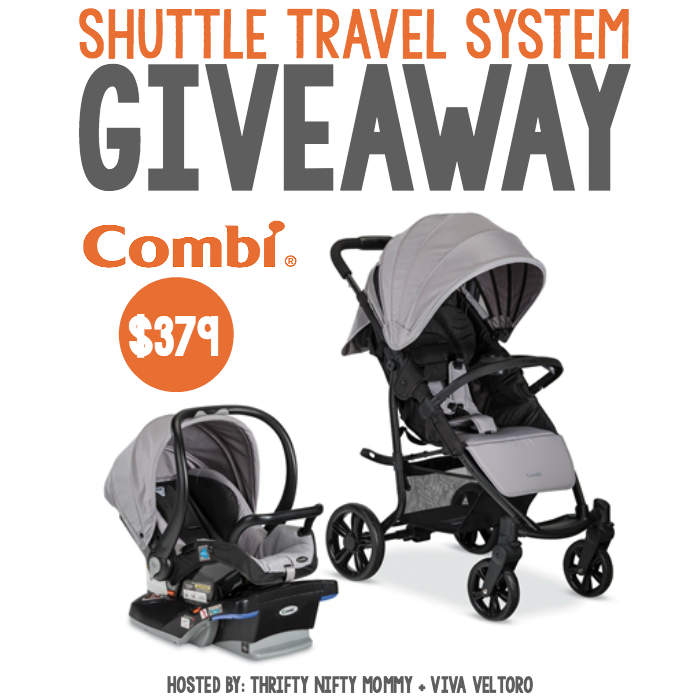 The Combi Shuttle Travel System combines the classic Shuttle Infant Car Seat with the Shuttle Stroller to create a comfortable and convenient solution for busy families. The infant car seat provides deep side wings with True-Safe side impact protection for safe crash force distribution and a built-in anti-rebound bar to minimize rotational forces in front and rear collisions. Installation of this car seat is a breeze with built-in lock-offs, wide belt paths, level indicators, and premium push button LATCH connectors. When on the go, attach the infant car seat to the Shuttle stroller, which features a one-step linked brake, a one-hand self-standing fold, an extended canopy with peek-a-boo window, and removable child and parent cup holders. Keep essential items stored within reach with the large canopy pocket and easy-to-access basket. Open to the Continental US only, ages 18 and up. Ends 12/23/15 at 11:59 PM ET. Enter using the Giveaway Tools form below. Good Luck! I love the stroller pack!! I always have such a problem losing stuff in my purse because there's no good spot to put it on the stroller!